On May 20, 2016, Beryl Vertue received the Commander of the British Empire from Prince Charles during a ceremony at Buckingham Palace. 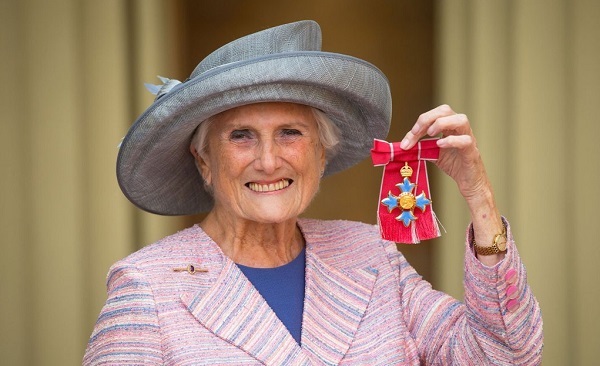 The executive producer of hit BBC drama Sherlock, Beryl Vertue has been awarded the title of Commander of the Most Excellent Order of the British Empire in this year’s New Year’s Honours List. Beryl, who has been bestowed with the honour for her services to British television drama, said that she was “chuffed to bits” to hear the news. She has been a key figure in a number of big television programmes during her career, including the modern-day adaptation of Sir Arthur Conan Doyle’s famous sleuth, comedies Men Behaving Badly and Coupling, and the lavish new Lady Chatterley’s Lover which aired earlier this year. Beryl said she was “a great honour” to have been given the CBE and explained that it was only possible with “the support of the many talented people” she had worked with over the years, particularly her two daughters Debbie and Sue, who is a producer on Sherlock. Beryl received an Officer of the Most Excellent Order of the British Empire in the 2000 New Year’s Honours List for services to independent production television after founding Hartswood Films in 1988, where daughter Sue is a producer and Debbie is director of operations. “Hartswood Films was one of the very first independent production companies when I launched it, and I’m proud to say we’re still independent today,” she said. Beryl started out as an agent for Spike Milligan and Eric Sykes and comedy stars Tony Hancock and Frankie Howerd, before turning her hand to production later on. She has had a long and distinguished career which included producing big screen versions of Up Pompeii, Till Death Us Do Part, and Steptoe And Son. Beryl is also credited with making American adaptations of Upstairs Downstairs and It’s A Knockout. The television veteran said that one of the crowning moments of her career was serving as executive producer on the 1975 film of The Who’s musical Tommy. The movie boasted a star-studded cast including Jack Nicholson, Elton John, Eric Clapton and Tina Turner. However many Sherlock fans are likely to say that her work as executive producer on the first three series of the detective drama – penned by her son-in-law Steven Moffat – is her finest achievement. 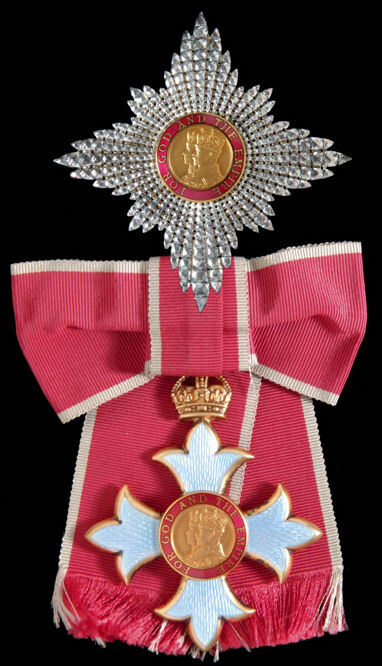 The badge for the CBE is in the form of a cross patonce (having the arms growing broader and floriated toward the end), the obverse of which bears the left facing busts of King George V and Queen Mary; the reverse bears George V’s Royal and Imperial Cypher. Both are within a ring bearing the motto of the Order. The badges are enamelled with pale blue crosses and crimson ring, and is suspended from a ribbon that is rose-pink with pearl-grey edges, with the addition of a pearl-grey central stripe for the military division.